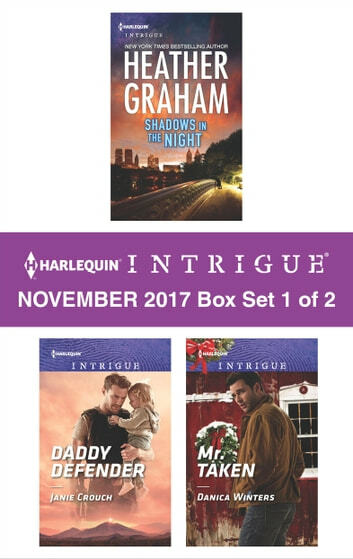 FBI special agent Micah Fox isn't accustomed to working with civilians, but criminologist Harley Frasier may be the next target after her mentor is murdered in this pulse-pounding new thriller from New York Times bestselling author Heather Graham. Someone has placed widow Summer Worrall and her small daughter in their crosshairs…but lucky for Summer, Ashton Fitzgerald isn't the handsome and unassuming handyman she thought he was. He's a highly trained sharpshooter intent on keeping his found family safe. Firefighter Colter Fitzgerald knows that Whitney Barstow has been burned in the past, but when Dunrovin ranch is targeted by an arsonist, can she face the fires of his passion? Or will their future go up in smoke? 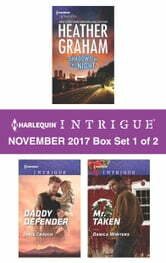 Look for Harlequin Intrigue's November 2017 Box Set 2 of 2, filled with even more edge-of-your seat romantic suspense!